This young bull’s power and look led off the 2017 Reserve Champion Pen of Three at the National Western. His perfect hindleg, great look, flat shoulder, and powerful center body give him the breeding versatility to be used on a wide range of females. 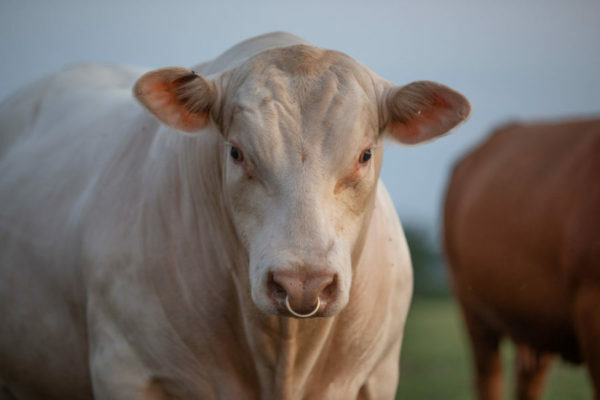 With multiple calving ease sires and breed-changing cows in his pedigree, we will use him with confidence throughout our program, including with heifers. 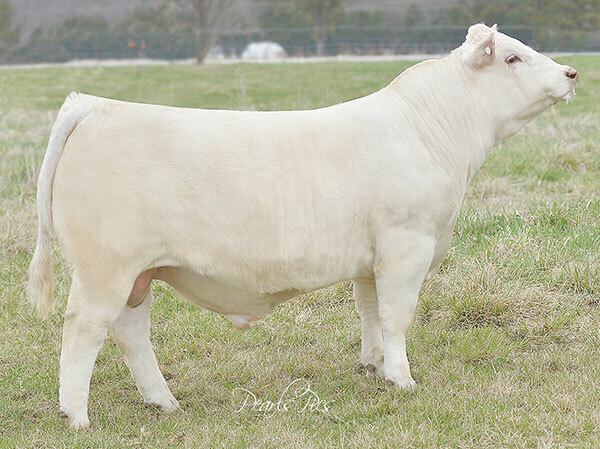 Owned With: Wright Charolais, Broberg Charolais, Wild Indian Acres, Clear Creek Charolais, KM Cattle and Southern Cattle Co.
Resource was not only the youngest sire on the spring 2017 Multiple Trait Leader list, but also sired the 2017 NWSS Champion Pen of 5 bulls for Zehnder-Waage. His sons are being recognized for their extreme growth, mass, structural integrity and quality while his daughters give a feminine, big-ribbed and easy-doing appearance. 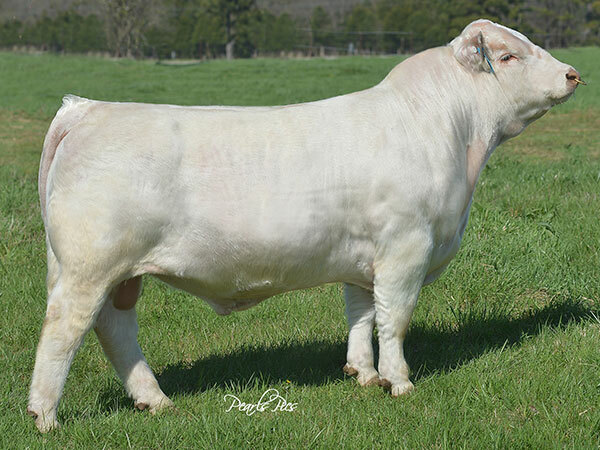 Resource is a bull that we believed in as a young herd sire prospect and will continue to use heavily for years to come. 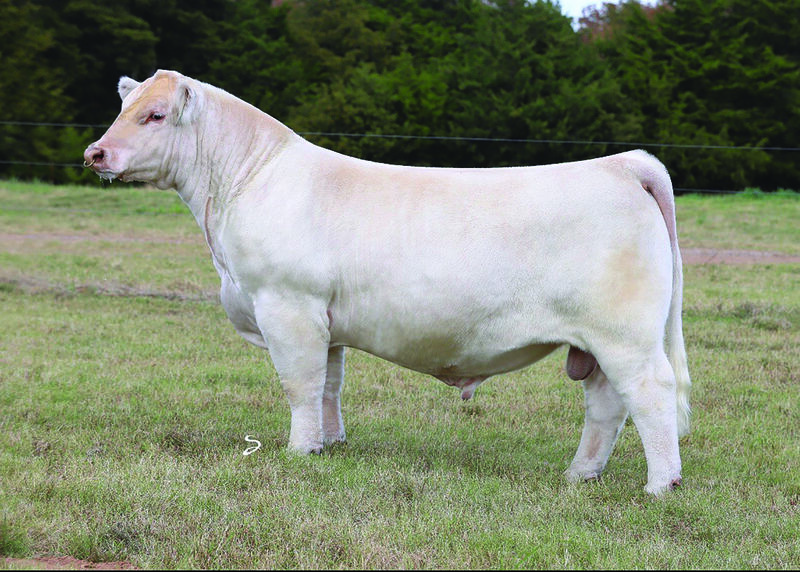 Milestone is the bull that shook the Charolais world in the 2016 bull sale season, commanding $125,000 (half interest) at sale for the Milestone Investors group. 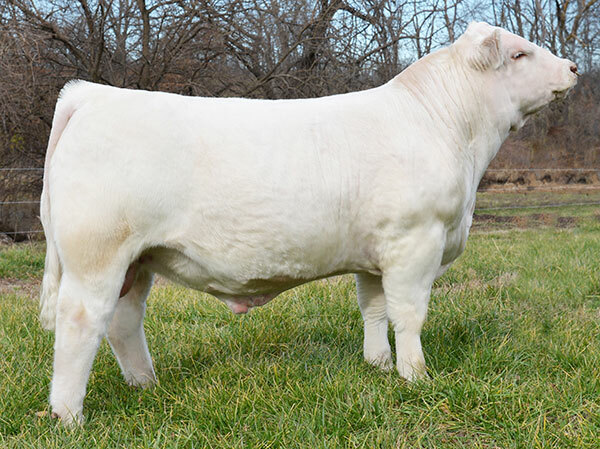 His calves are big-topped, big-butted, big-legged, good-looking cattle that we are excited about at CCC. 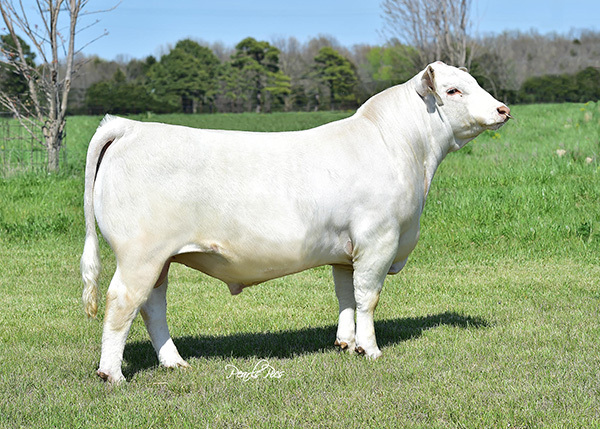 Blue October is backed by the ultimate female-making sire at Wright Charolais, as well as 7M, a dam who passes on her ultra-feminine and maternal strengths to progeny. With his first calf crop currently being weaned, we are impressed by the quality, structural integrity and overall usefulness of the calves. We feel that his impact will be one that stands the test of time.